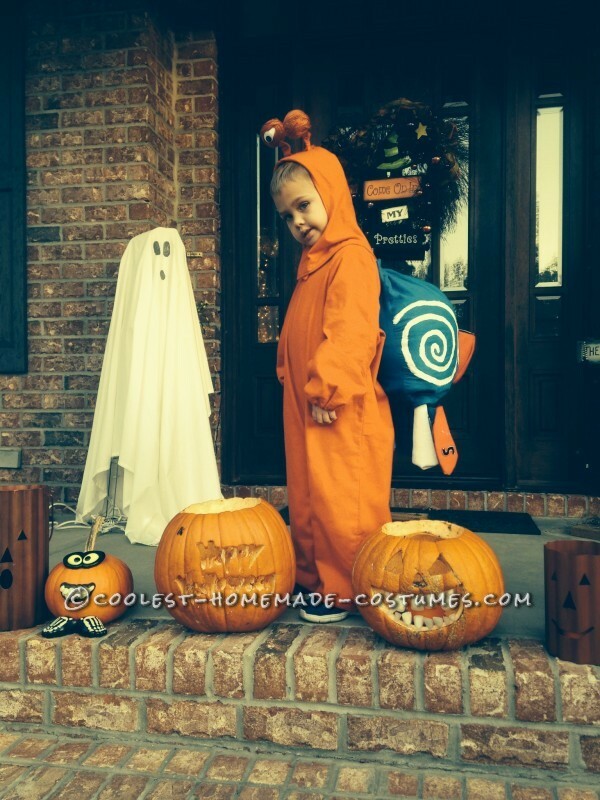 DIY Child Halloween Costume: TURBO - the Fastest Snail in Clayton NC! 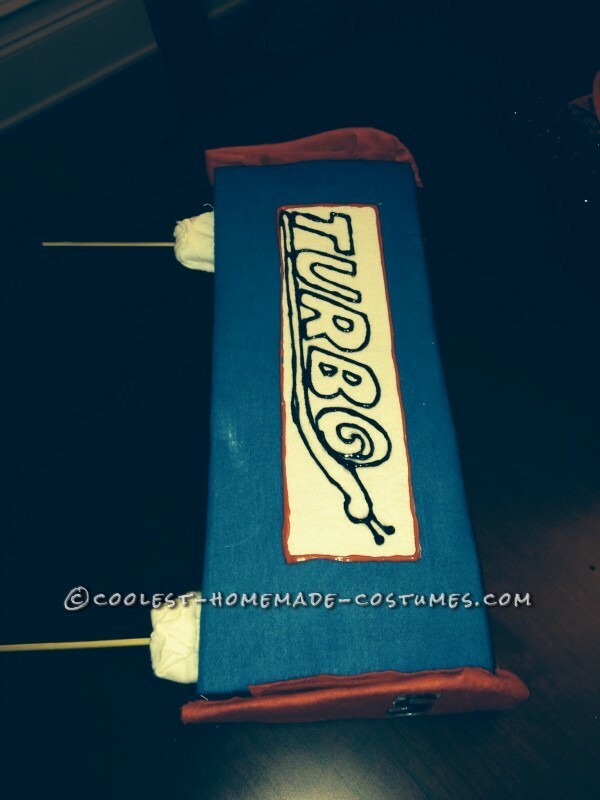 DIY Child Halloween Costume: TURBO – the Fastest Snail in Clayton NC! My 4 year old son and I saw TURBO this summer and loved it!! 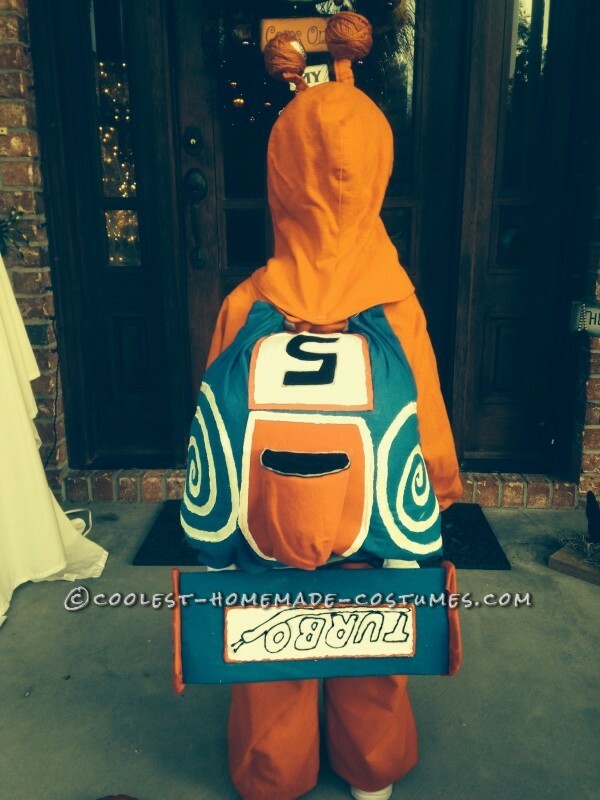 It was then he decided he wanted to BE Turbo for Halloween. I thought that would be great….-original and cute! 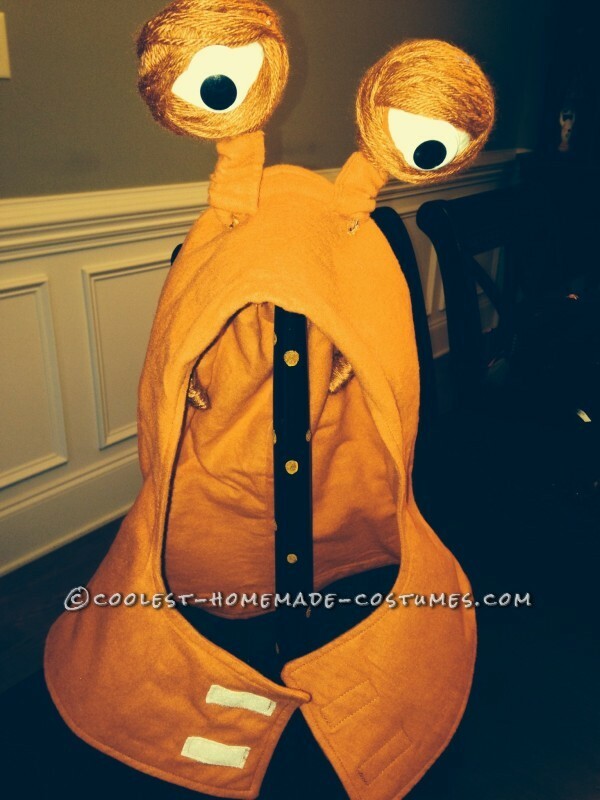 I had never made a costume before and didn’t think it would be too dificult. HAHA!! It really wasn’t too bad. The only part that stumped me was trying to figure out what to use to stuff the shell to get it to look like a snail shell and not just a square pillow shape on his back. I tried a couple of different things and just wasn’t happy with the look and I didn’t want it to be too heavy for him to lug around on his back. 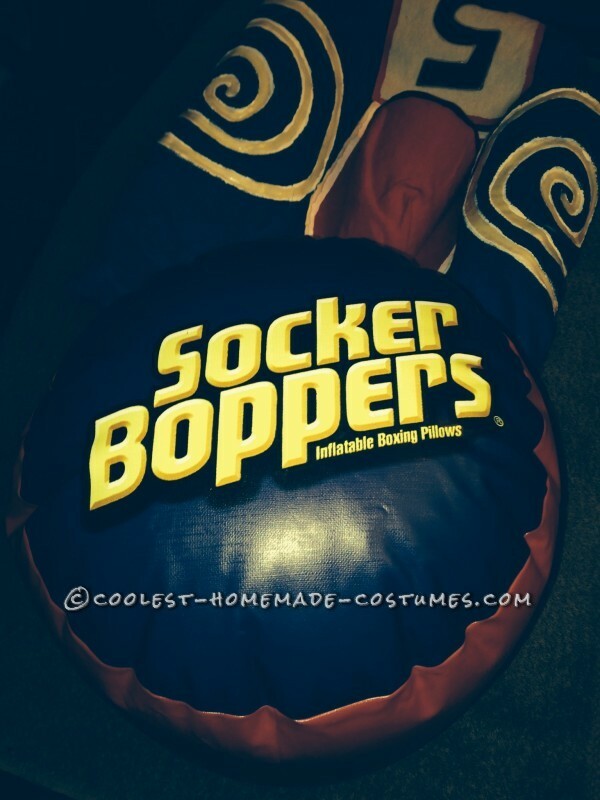 My brother saw my frustration and went to the store and came back with”socker boppers”. HAHA!! Now why didn’t I think of that??? They worked perfect!! Gave me the shape I was looking for and not too heavy. For the body of TURBO I just used a basic bear pattern-minus the ears and tail. My wonderful sweet friend with a sewing machine(thank goodness) put the body together. 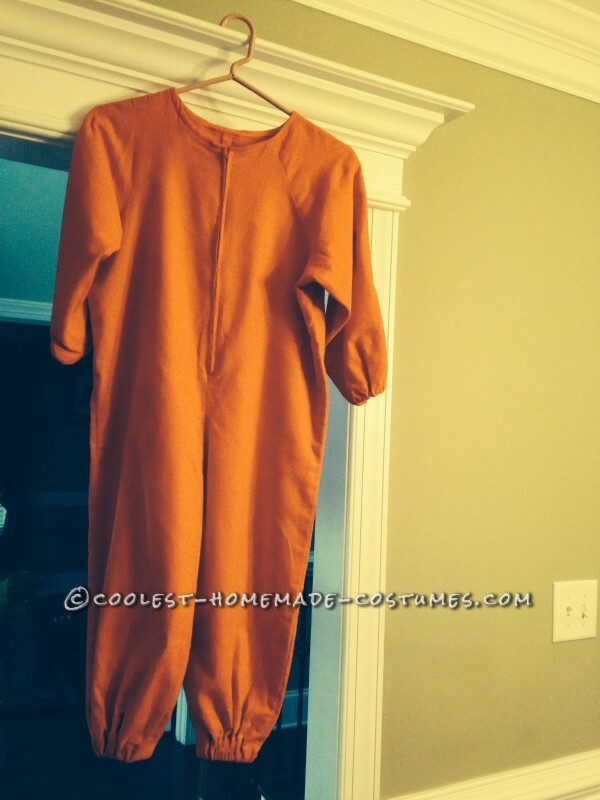 I used orange flannel for the body and hood. 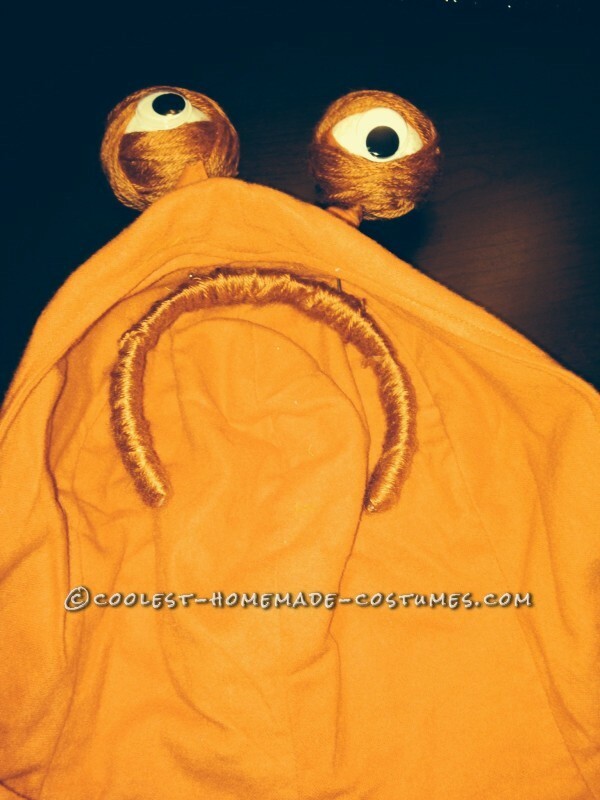 For the eyes i used styrofoam balls, wrapped them with orange yarn and glued wiggly eyes on them. I used wire to stick in the styrofoam and then wrapped the wire on a plain headband. I also wrapped the headband with orange yarn just to have it match and make it softer while on his head. 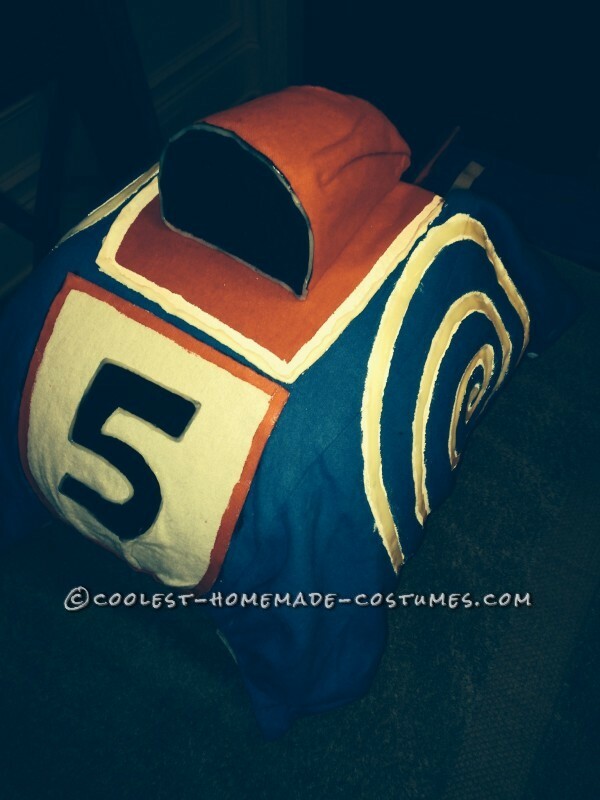 The most challenging part of the costume but I did have the most fun decorating the shell. My friend with the sewing machine sewed three pieces of royal blue flannel together and left the bottom open for me. I glued a black number 5 on and used white paint for the swirls on each side. I also put a coat of white glow in the dark paint on top of the swirls. 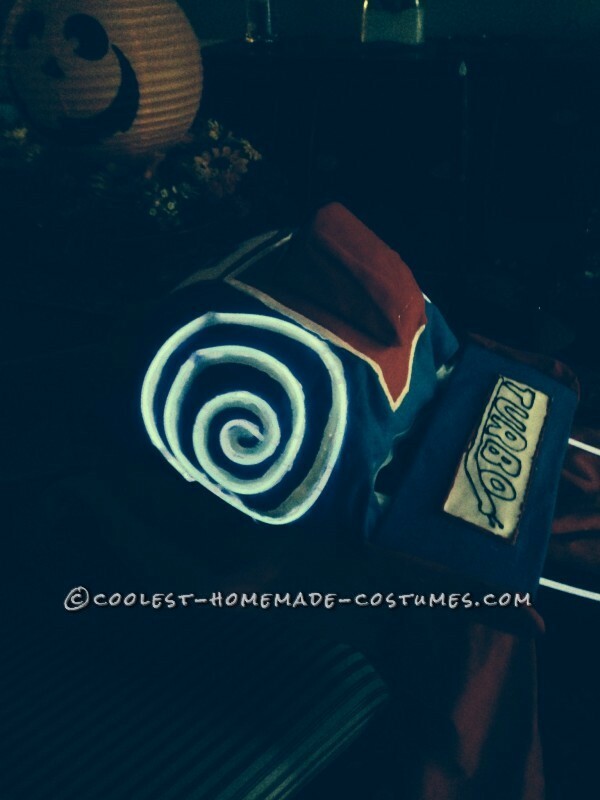 About an hour before trick or treating I glued blue glow sticks on the swirls(dont forget to snap them first!!). That night he was all lit up!! It looked really cool and the kids loved it, not to mention it was a great safety feature too!! I used one of the”socker boppers” to stuff the shell and then velcroed the bottom together. The fin of the shell was just some flexible plastic I cut to shape,covered in flannel, painted and used wooden dowels and styrofoam to attach to the main part of the shell. And there you have it………TURBO!!! It was awesome and my 4 year old said he won the prize for the best costume because all his friends thought he looked awesome!!! Hope you all enjoy it and thanks for looking! !